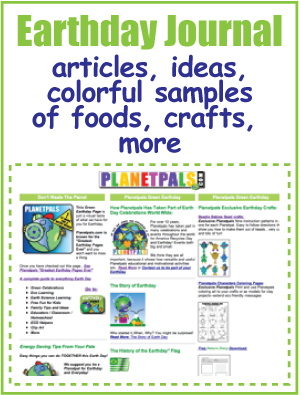 Planetpals Earthday Fast Challenge Conserve Save Energy Activity. What to do on Earthday. 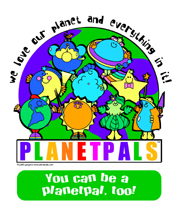 It's something we came up with here on PLANETPALS EARTHZONE to teach us all about our earth and how to conserve. It's a kind of "fasting" from our daily life. A challenge to do things differently and learn to measure how much you consume every day! 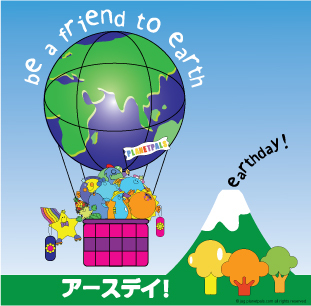 Do it for Earthday or any day! It's a great activity for us all young and old. Spend an entire day without using energy, or at least, limiting it. If you can't do this activity entirely, try keeping a list. List everything you do in a day that uses our natural resources and creates waste and how many times (i.e. : how many times do you put on the lights, flush the toilet, drink something canned or bottled, take a short shower or bath, etc.). You might be surprised at how much you actually consume and you may start to live differently! Then you would be a true PLANETPAL! Do this on your own or challenge a friend--maybe your entire family or classroom! At the end of the day, try to make a resolution to eliminate something in your life that you could do without...one day a week without using a car? bring lunches? Refill water jug instead of using bottled waters? Challenge: How many of the following non waste activities (rules) can you do? Shop for your food for the day (1 day's worth)--when you shop shop FRESH and limit the packaging-bring your own bags! You can use stored energy such as solar to power electronic devices.